The majority of triplet music is dabadabadaba rhythm. There are big markets for dabadabadaba music. Playing dabadabadaba music makes you a better musician. How are the dabadabadaba's different? 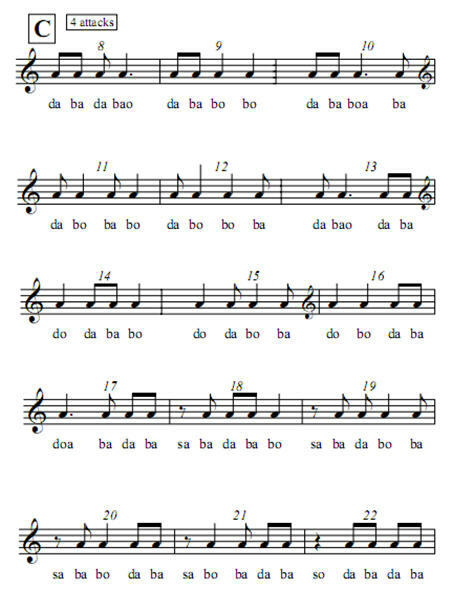 The other rhythm vocabularies you have learned have only sixteen rhythms (dobodobo, dabadaba and dibidibi) or ten rhythms (dobobo). The dabadabadaba vocabulary has 64 sounds. Whereas previous vocabularies had 4 attack, 3 attack, 2 attack, 1 attack and zero attack rhythms this one has more. 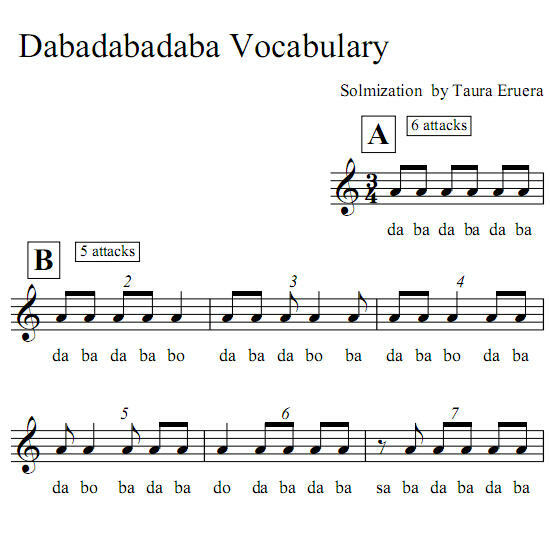 This dabadabadaba vocabulary has 6 attack, 5 attack, 4 attack, 3 attack, 2 attack, 1 attack and zero attack rhythms. 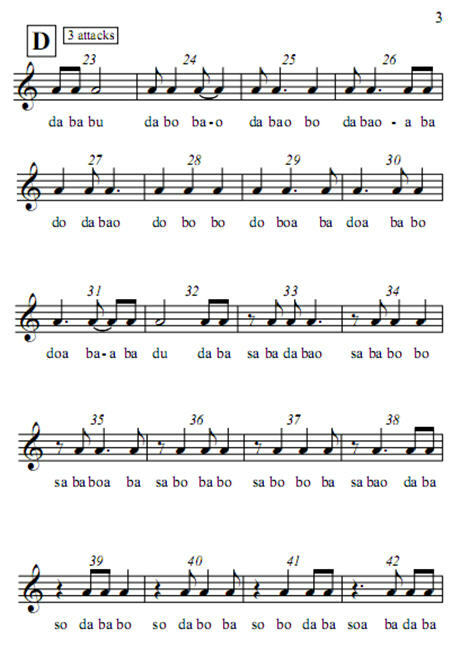 Whereas you were able to learn previous vocabularies on one page you will learn these 64 rhythms over 4 pages. You will learn one, six attack, rhythm and six, five attack, rhythms in one section. You will learn fifteen, four attack, rhythms in one section. 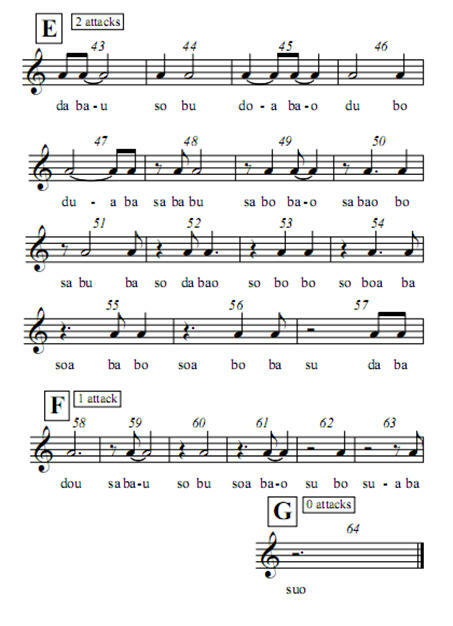 You will learn twenty, three attack, rhythms in one section. You will learn fifteen, two attack, rhythms; six one attack rhythms and one zero attack rhythm in one section.